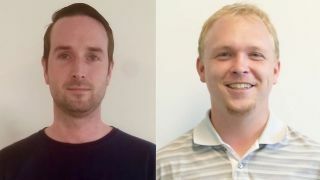 From Left: Scott Murray Anderson, Daniel Heald Canadian AV integrator Advanced has appointed Scott Murray Anderson to system programmer and senior AV specialist and Daniel Heald to project manager. According to company president David Weatherhead, appointments are in direct response to Advanced’s increasing number of integration projects. Anderson is a certified Crestron programmer with more than seven years of experience in the field of audiovisual equipment installation, maintenance, and service. He previously served as the programmer/integration manager at SDMA Custom Audiovisual where he was responsible for automation programming in various deployments, as well as onsite and offsite project management. Anderson is a TCE1 Cisco Certified Engineer Level 1, with earned certifications in Crestron CTI P101, CTI P201, and DM-D 4K. He is also a Crestron Partner with access to all of their services, and is a member of the Toronto Carpenters Union. In addition to his Crestron expertise, Anderson has mastered solutions by manufacturers such as Biamp, QSC, BrightSign, and more. Heald is returning to Advanced after serving as the senior installation technician and site lead at Genesis Integration. Before that, Heald rose through the ranks at Advanced, working as an AV technician for three years, and as a contract technician for one year. Heald has earned many certifications in Extron XTP-T, Crestron CTI-Fusion-P, Crestron DMC-T-4K, Crestron CTI-P301 Advanced Programming Skills, SynAudCon, and Biamp Tesira’s line of products.